Specializes in humanities, psychology, history, and Jewish studies. 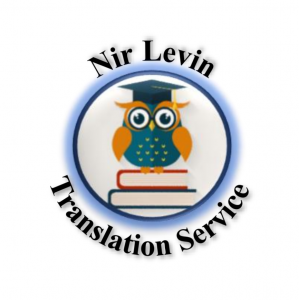 � �My rich�experience in Hebrew writing in a wide array of genres, coupled with my�background in the humanities, has given me the ability to produce�Hebrew translations that are lucid, flowing, and enjoyable for the modern Israeli reader. � �While there are many who can understand an intricate passage in English and convey its basic idea in Hebrew, few indeed are able to render it into a flowing Hebrew that preserves not only the basic meaning of the text but also its�literary style, nuances, and subtleties. � ��If you're looking for someone to pass your voice to the Israeli reader, I think I'm one of the few that can deliver your message. As a teacher of chaplaincy and psychotherapy I needed a translator who could convey the subtleties of the professional Spiritual Care and psychotherapeutic literature to an Israeli audience. Nir was the perfect man for the job. He was meticulous in the English-Hebrew translation of curriculum materials. He is knowledgeable, easy to work with and has an exquisite sense of the intricacies of the Hebrew language. Highly recommended.